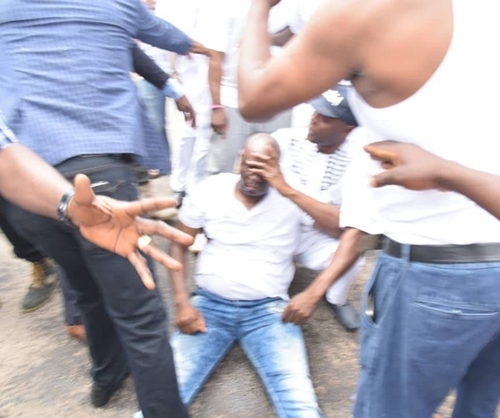 Ekiti State governor, Ayo Fayose, has escaped death in the hands of security operatives who allegedly fired teargas at him. 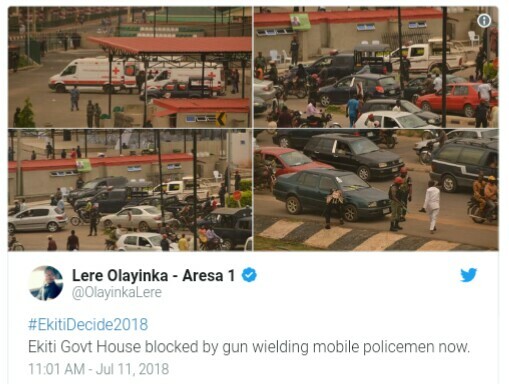 Lere Olayinka, the governor's Special Assistant on Public Communications and New Media, took to social media to update Nigerians on the unfortunate incident. He wrote: "#Ekiti2018 Update. 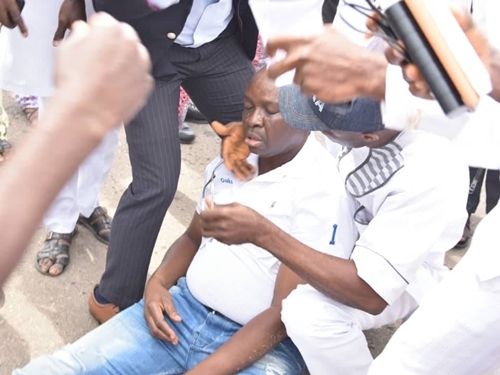 Gov Fayose, a few minutes ago escaped plot to assassinate him by Fayemi and his APC. He is currently receiving treatment at govt house clinic after he was hit by teargas canister fired by the policemen. The armed policemen still laying siege at the Govt House."